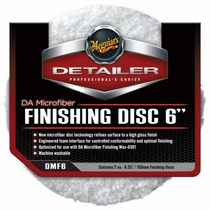 Meguiar's DA 6” Microfiber Finishing Pad Discs engineered foam interface with advanced technology microfiber efficiently applies Meguiar's DA Microfiber Finishing Wax for a deep, wet looking shine and long-lasting protection. 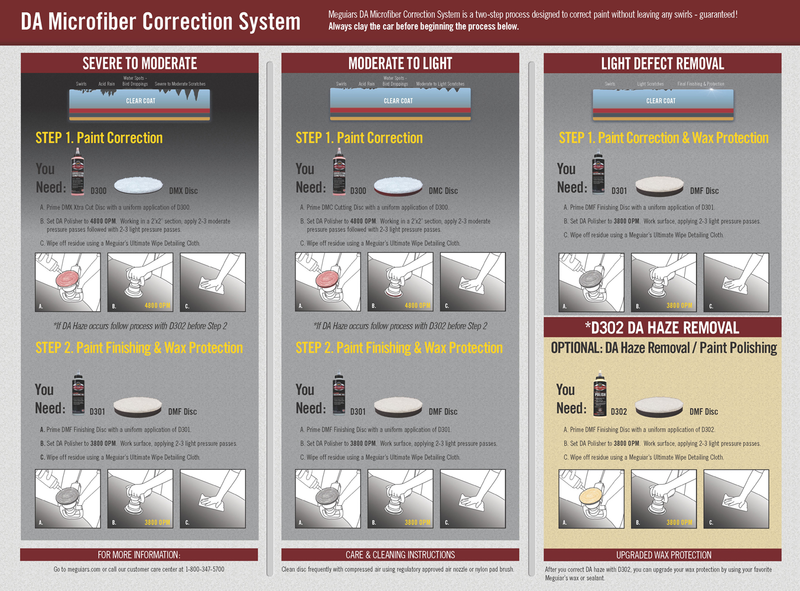 The Meguiar's DA 6” Microfiber Finishing Pads design contours to every curve more control and efficiency. 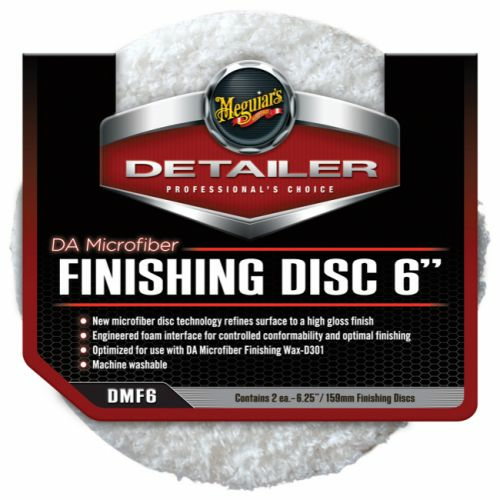 Meguiar’s “No Swirl Guarantee” makes the Meguiar's DA 6” Microfiber Finishing Pad ideal as your final finishing pad. 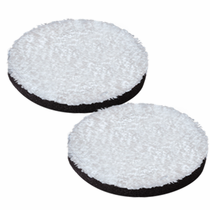 During Use: Clean Meguiar's DA 6” Microfiber Finishing Pad as needed during use with a nylon bristle pad cleaning brush. After Use: When loaded wax or when dirty, machine wash using a mild detergent and DO NOT use fabric softener. Dry on low or no heat and DO NOT use dryer sheets. To prevent contamination store in a clean, dry location free of dust and debris.